Description: Exchanging Vows Bridal Boutique is a little gem nestled in Collingwood with an intimate small town service in creating a bridal shopping and planning experience unlike any other. Owner, Tara Klein blends beautifully chosen bridal gowns, bridesmaid, mother of the bride and groom, flower girl dresses and accessories. Tara’s warm personality and extensive bridal fashion experience will guide through the process of finding your perfect dress for your special day! Dianna met up with Tara at her shop where she tells us what’s in demand in the Georgian Bay area and the latest trends in bridal fashion. Please enjoy & SHARE our great LOCAL programs! 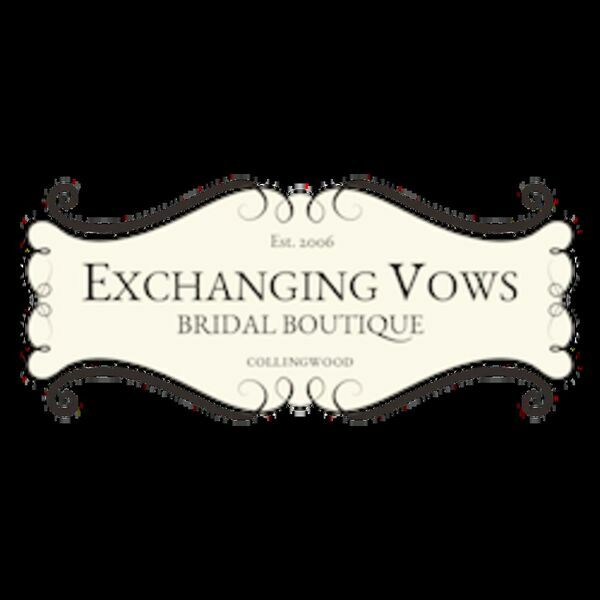 Exchanging Vows Bridal Boutique is a little gem nestled in Collingwood with an intimate small town service in creating a bridal shopping and planning experience unlike any other. Owner, Tara Klein blends beautifully chosen bridal gowns, bridesmaid, mother of the bride and groom, flower girl dresses and accessories. Tara’s warm personality and extensive bridal fashion experience will guide through the process of finding your perfect dress for your special day! Dianna met up with Tara at her shop where she tells us what’s in demand in the Georgian Bay area and the latest trends in bridal fashion. Please enjoy & SHARE our great LOCAL programs!